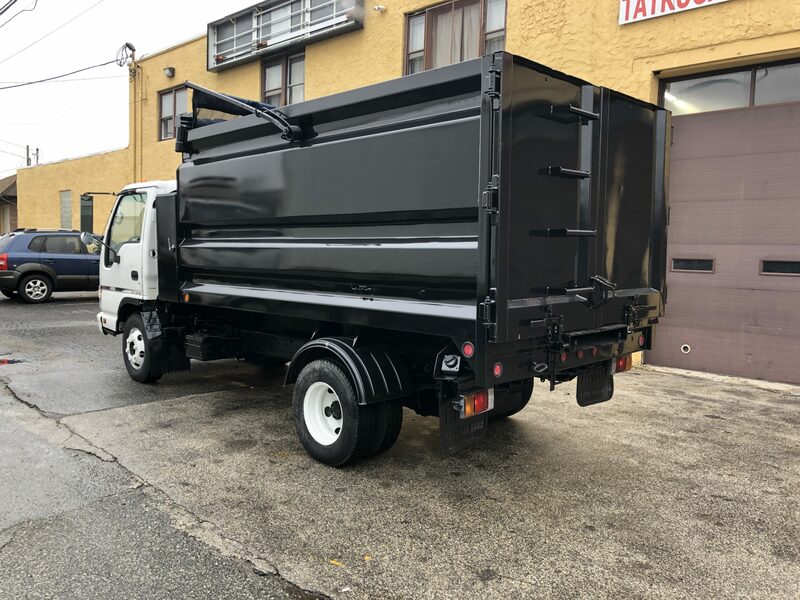 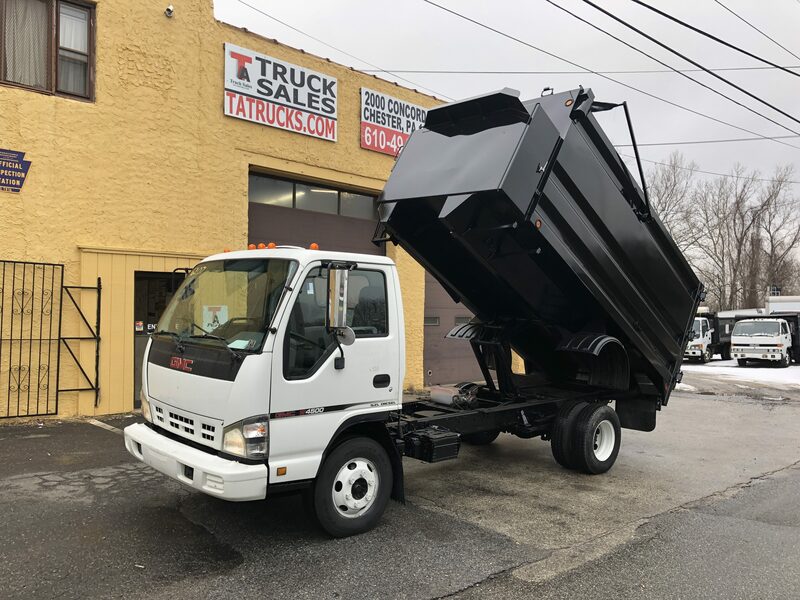 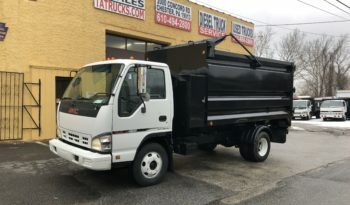 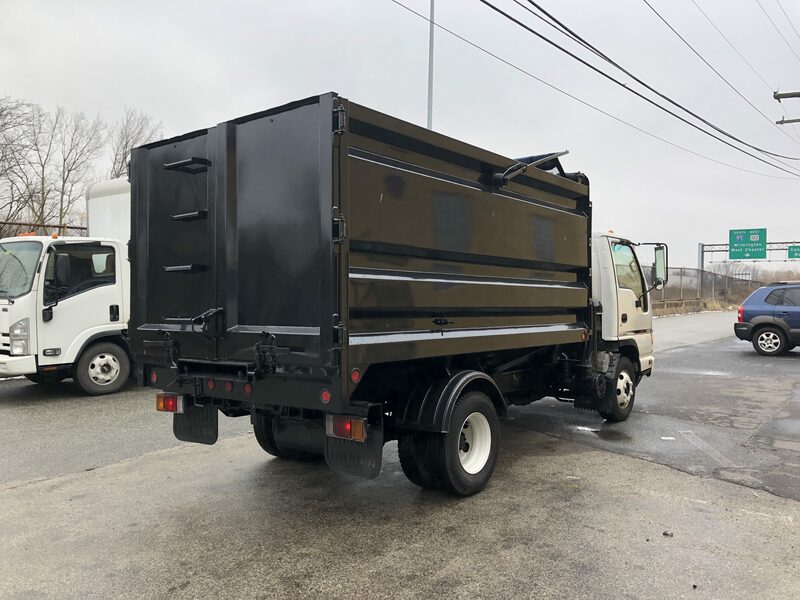 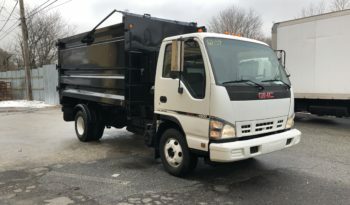 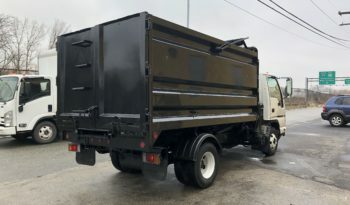 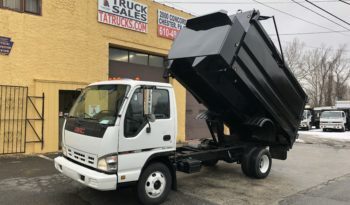 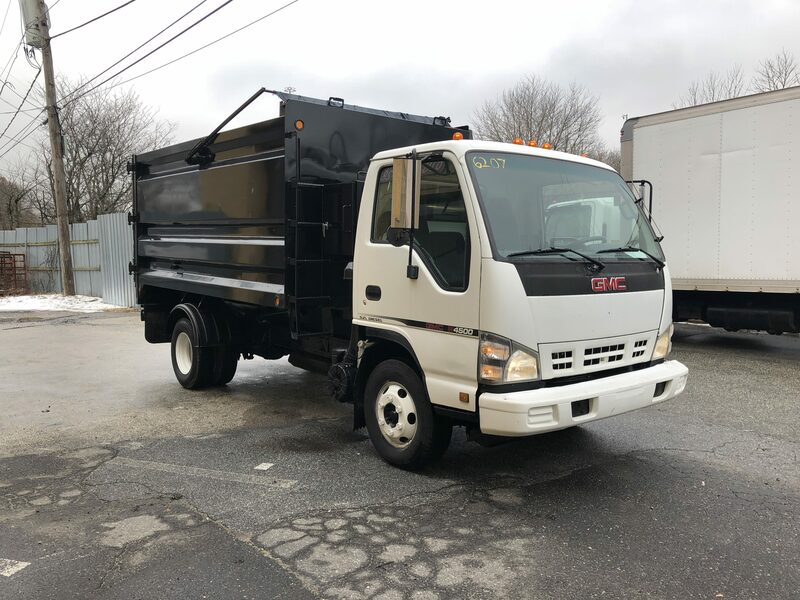 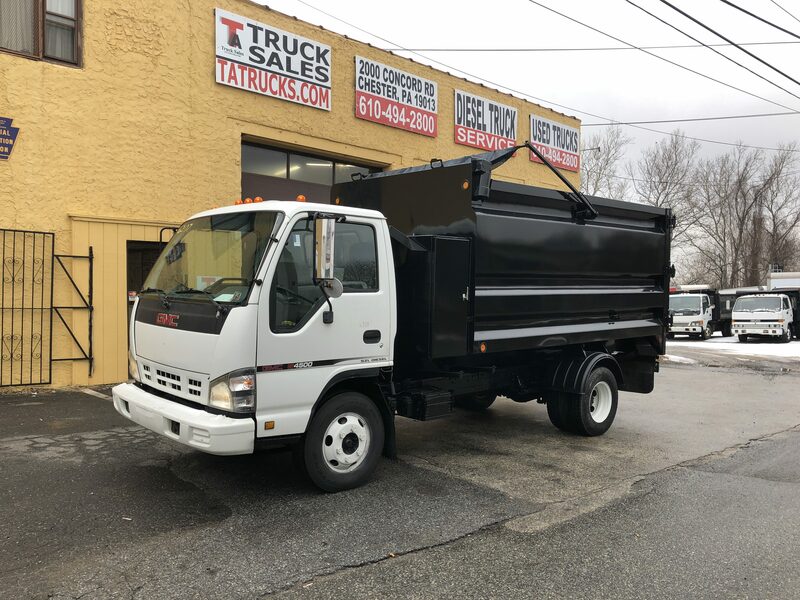 Isuzu Junk Hauler Dump - TA Truck Sales Inc.
2006 Isuzu NPR-HD; Four Cylinder Isuzu Turbo Diesel, Automatic Trans, Power Steering, Air Conditioning, Power Windows. 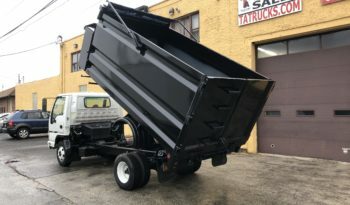 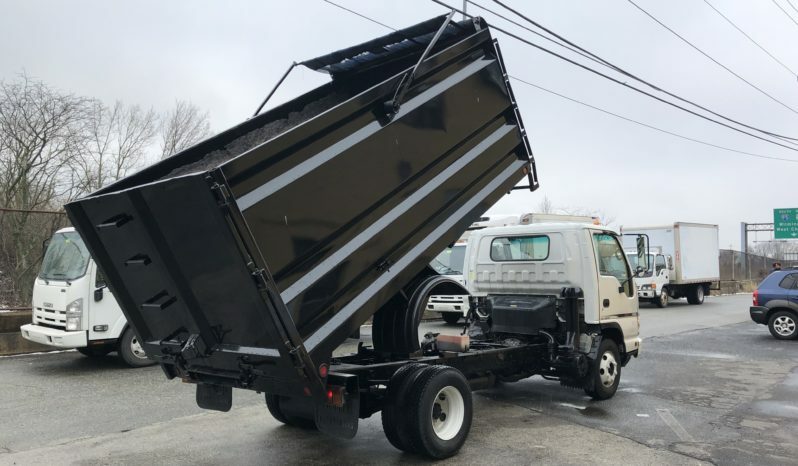 12 Foot Solid Side Dump Body with 60-Inch-High Sides, holds approximately 15 yards, Built in Tool Boxes. 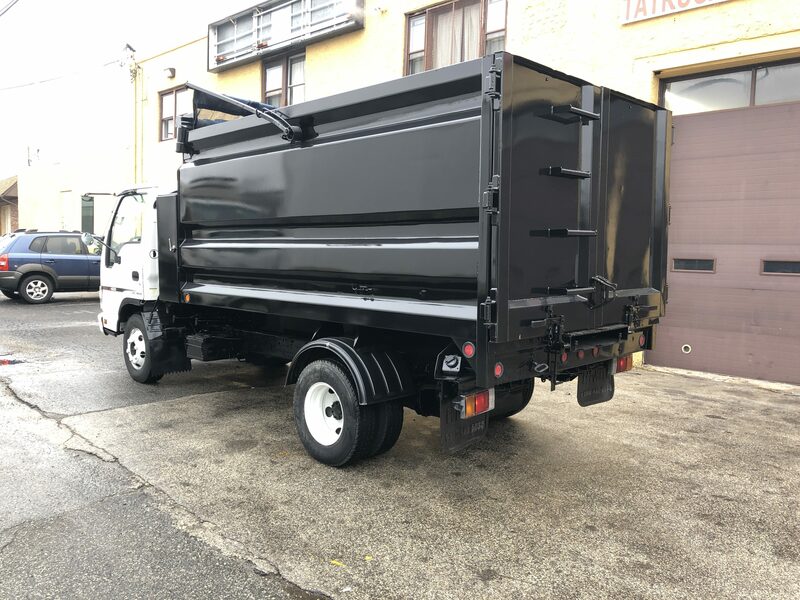 Electric Hydraulic Hoist, Power Tarp Kit, Swing Rear Doors. 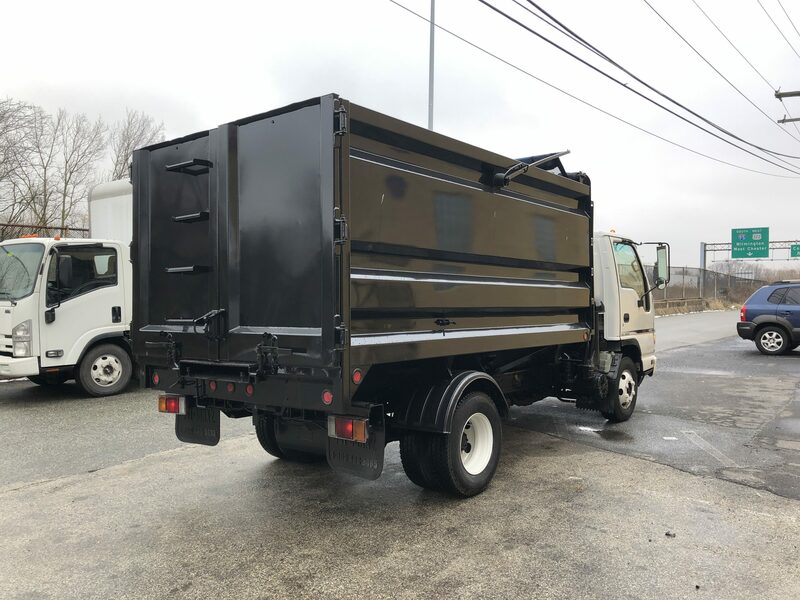 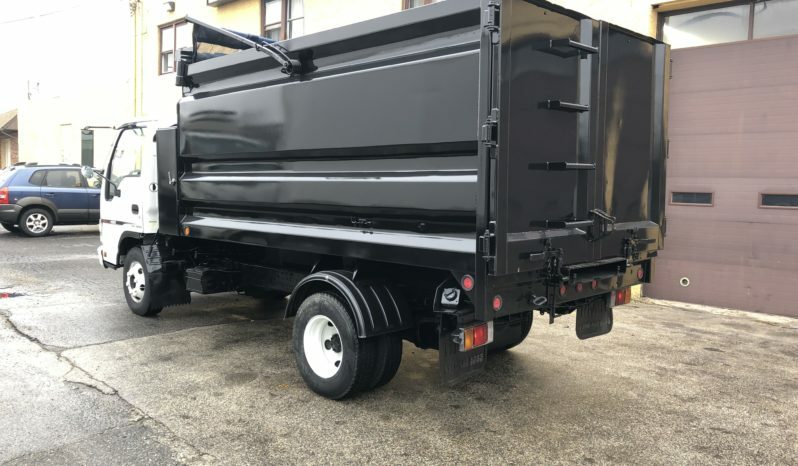 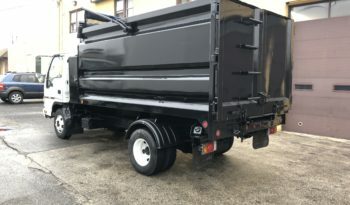 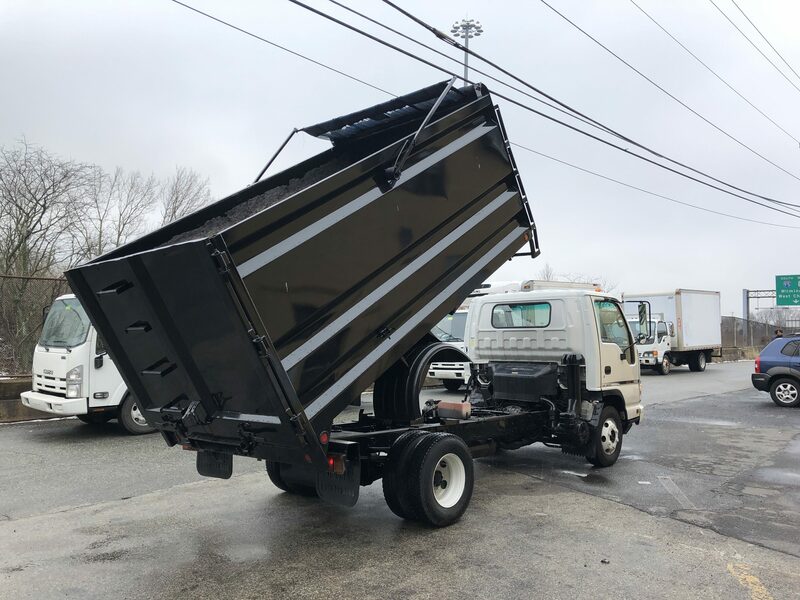 Fresh Black Paint on Body, Three ton Capacity. Truck is Pennsylvania and Federal DOT Inspected. 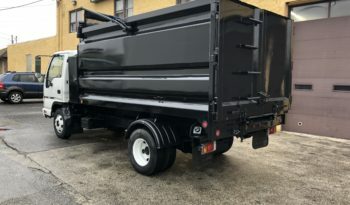 Ready to work for Junk Haulers, Landscapers, Clean out guys, Trash haulers, Contractors. 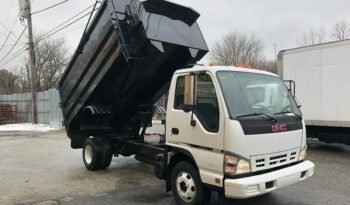 Are you paying for trash dumpsters? Rehabbing houses and constantly renting dumpsters? People filling your dumpsters up while you are are not there? You can buy your own dump truck designed just for that. 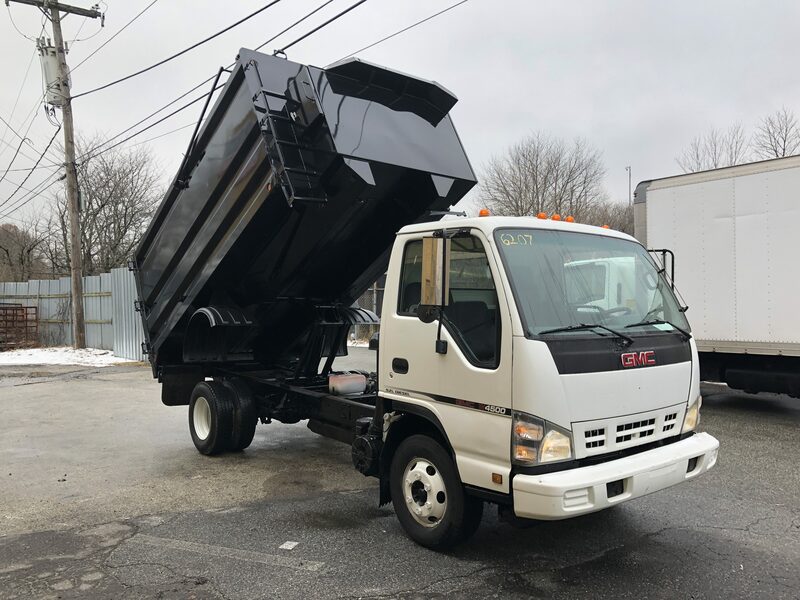 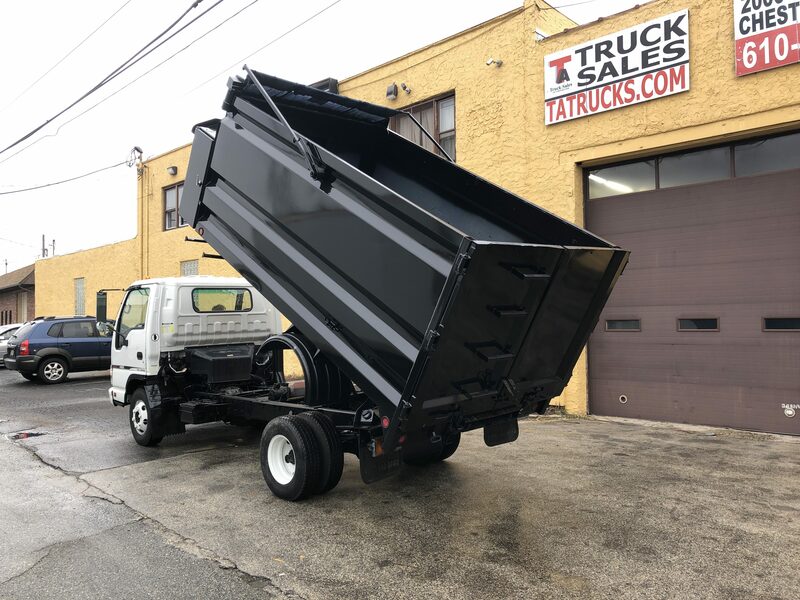 This dump is easy to load, NON CDL, gets around town like a pick up truck, hauls a whole lot more and will save you money in the long run.